Are you interested in purchasing vacant land? Do your future plans include building that dream home on the lot or just investing in land? Buying land and building a home can be extremely rewarding, but could also become a very complicated procedure. There are many factors to take into account when choosing a parcel of land. In this area, Dufferin, Wellington, Peel, Grey and Simcoe Counties, there are numerous municipalities, conservation authorities and other government agencies that determine where a building may be constructed. For instance, within Dufferin County alone, there are eight municipalities (East Garafraxa, Mono, East Luther/Grand Valley, Orangeville, Amaranth, Shelburne, Mulmur and Melancthon). Each municipality has its own set of by-laws and restrictions regarding home building. At the end of this article are a number of links to government offices to help you in navigating the regulations for future land use. To start your search for land, it's likely best to consult a realtor who can guide you to the land that best suits your future intentions. You might also search for land using my vacant land finder! Don't worry too much at the beginning about all the rules and regulations; simply view land parcels to see if they suit your needs. If you want a walk-out basement, does the land slope downward in the appropriate place? If the property is treed, is that what you want, or must you clear a big area in order to build? If your dream property includes a stream or pond just check to see if the land is swampy. Can you see your new home here? If privacy is important, can you site the home so that privacy is possible? Once you have found a property you like, look a little closer. Are hydro and phone lines available? If available, how far must the lines run to reach the building site you have chosen? Hydro lines are quite expensive if they must be extended a great distance. Where would you like your driveway to go? Will this be a safe spot? If there is a pond or stream or lake on the property does it look as if there is a building site that is far enough away from the water to avoid flooding of your home? Now that you have decided that a certain land parcel works well for you, there is lots more homework to do. Every municipality has its own by-laws that set out the conditions under which you may build. Zoning is very important. If you are going to build a house you will need residential zoning. The residential zoning requirements will tell you how far from each side and how far from the front or back of the property you must be. This is known as setbacks. The residential zoning requirements will also specify the minimum size of the house, along with how much of the land can be covered by buildings, i. e. house, garage, workshop, if any, etc. They will require that the driveway entrance be placed for safety purposes, and will also specify how large the culvert must be for the driveway, and who may install the culvert. Some municipalities insist they are the only ones who may install driveway culverts. There may be different rules for entrance permits depending on where the property is located. If located on an Ontario Highway, the Ministry of Transport handles entrance permits. Be careful; some highways in Ontario have "limited access" and no permit will be available for a driveway. If located on a County Road, the rules are different than those of a Municipal Road. You may have a house plan in mind when you purchase the land. If so, determine if the plan you have chosen may actually be constructed on the lot. Does it fit into the space the municipality has designated? Sometimes land has a "building envelope" already in place showing where a house may be built. These building envelopes have expiry dates so check to insure the permission will not expire before you build. If your dream home doesn't fit on the land you want to find out before you purchase. If you must drive across a stream to access your property, or there is a lot of conservation zoning or watercourses on the land, the conservation authority may request that you submit an engineered site plan showing how access to your building site is to be gained. These engineered site plans are quite often very, very expensive, and often cannot be passed from owner to owner. 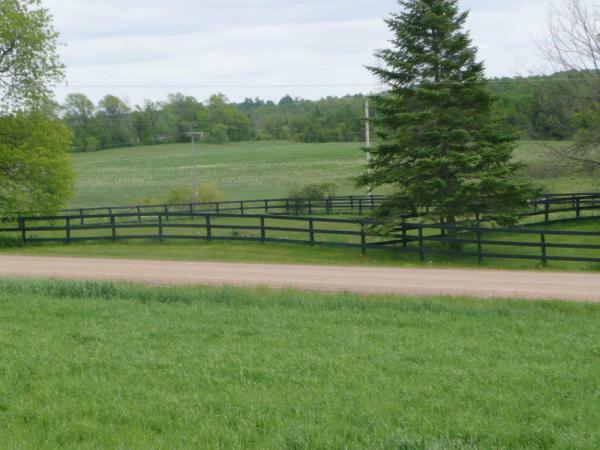 If you are buying a property for use as a hobby farm or farm and require a barn, there are other regulations to take into account. Barns can only be built within certain distances of other houses in the area. You also will have to take into account any existing barns in the area as you must set your house a certain distance away from existing barns. 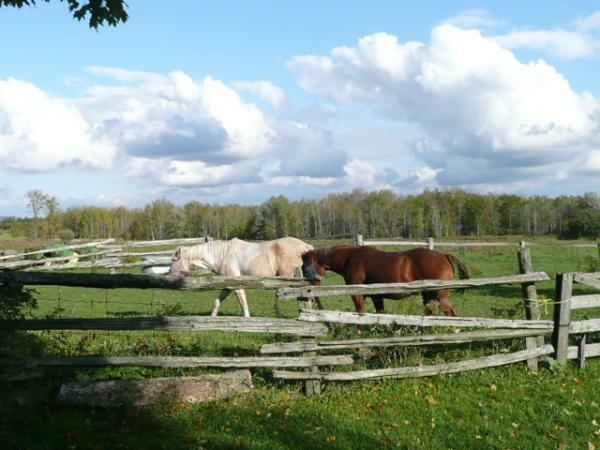 If you intend to keep horses or other farm animals on the property, there are very definite regulations regarding the number of animals allowed, manure storage and disposition, along with rules regarding open waterways and animals. The municipality, the county and the Department of Agriculture are all involved in setting out regulations for farms and hobby farms. Other government agencies that may have a say in what is constructed on a piece of land are the Niagara Escarpment Commission and various Conservation Authorities (in our area that could be Nottawasage Valley Conservation Authority, Grand River Conservation Authority, Credit Valley Conservation Authority, Toronto Region Conservation Authority, Saugeen Valley Conservation Authority and Lake Simcoe Conservation Authority). Also check the Ontaro Greenbelt and the Oak Ridges Moraine. All environmental government departments have stringent rules for development on lands within their jurisdiction. Over the past few years, governments and environmental authorites have reevaluated most vacant land in Ontario, and many changes have taken place. They have expanded the distance for set-backs from wetlands and rezoned some parcels to reflect new policies regarding enviromental features. Some land owners have been shocked to discover that they now own land that cannot be built upon. Even though building permits were available when they first obtained the land, permits may not be available now. If you are purchasing land as an investment, and intend that building will occur at a future date, be careful. If environmental authorties change your land designation sometime in the future, you may end up with a worthless land parcel. Is the land serviced? Does the municipality provide sewers and municipal water to the area? Is there natural gas available? What about high-speed internet? If municipal sewers and municipal water is available, check out the cost of hooking up to these services. Don't assume you can hook up if you see the services on the street. Sometimes these services just don't quite reach the land parcel you are looking at. If there are no sewers you must have a private septic system installed. You cannot do this yourself. Septic tank installation is regulated and you must hire a contractor who is licenced to install private septic systems. If there is no municipal water, you must hire a licenced well driller to drill a water well to serve the property. If there is a well already on the property, you will need to test to discover if this well meets your needs. If it does not meet your needs, there may be a requirement in the future to decommission this existing well. You will want to obtain information on septic systems and water wells in the area you are planning to build before purchasing the land. A septic contractor can dig a "test hole" to discover what type of septic system is required. Some land does require a more expensive system that can cost upwards of $25,000. The contractor can give you this information. Local well drillers know at what level water is usually found in the area, and can give you estimates for the cost of a new well, as well as explaining what you might expect to discover in your drinking water. Some wells contain high levels of sodium or sulphate. You will want to know this information before proeeding. Well drillers charge by the foot, so if the property is on a hill, and the well will be deep, it will be more expensive. Almost all municipalities levy "development fees". These fees vary from municipality to municipality, but are charged when you obtain a building permit. Not only do the fees vary from municipality to municipality, upper tier governments and school boards may also levy "development fees" that must be paid before you may obtain a building permit. Is there a survey available for the property? A survey is very important to anyone considering developing land. Governments will require site plans before you can obtain permits, and using a survey to guide the creation of site plans makes things a lot easier. Is the land severed? In other words, if the owner says that he is selling a two acre lot, does the municipality agree with this, or has the severance procedure broken down somewhere along the way and is he trying to sell a property that is not yet ready to be developed? Don't forget to take HST (harmonized sales tax) into account when working out your budget. Almost all vacant land sold is sold "plus HST". If the property cost is $100,000 the buyer will pay $13,000 HST; the land will cost $113,000! If building your own house, some of this HST may be recovered after construction, but that is a complicated procedure which you should research before assuming you will get a rebate of HST. You might want to talk to an accountant if you are going to be building a second home or vacation property. Capital gains taxes may be applicable when your properties are sold. What Does the Future of the Land Look Like? Do look around the area before you buy to ascertain trends. Is the parcel close to a town or city? Is it possible the town may expand to adjacent land and allow a subdivision in your backyard? In reverse, if you hope your land will become a subdivision someday, ask questions of government officials. Many a land purchaser thought they would sell their land for a subdivision in the future, only to find their land today is still twenty kilometers away from any possible development. Are industrial uses possible in neighbouring land? How about intensive farming, e. g. a large pig farm upwind of the parcel? Are there any proposed garbage dumps or composting facilities possible nearby? These uses may devalue your land if they produce bad odours or if the truck traffic to the site is heavy. In Dufferin, there is an approved garbage dump in East Luther on a 200 acre site on the Amaranth-East Luther Townline. At present, plans include a gasification plant, a composting facility, greenhouses as well as an actual garbage disposal area (called Energy-from-Waste Facility or ananerobic digestion facility). Buyer to verify an entrance permit is available. A conditional period of two weeks is usually sufficient to fulfill these conditions. Buyer may also have other conditions, such as financing, that will have to be put into the offer. Some of the people who can help you in your investigation of vacant land are: realtors, municipal government employees, specifically the township planner, road superintendants, conservation authority personnel, Niagara Escarpment personnel, water well drillers, septic contractors, builders, surveyors. A local experienced realtor may be your best source of information. 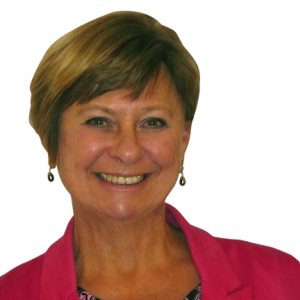 She is usually aware of local issues, including development and zoning, any problems with water or soils and can guide you to all the resources you may require. For a list of Municipal and Environmental Resources, use Sharon Grant's RLP RCR App and look under "Enviromental Services" or "Municipal Government"
We've know Sharon for about a year now. She helped us with both buying and selling our house. I would hope she sees us as friends as we do her. Thank you Sharon.